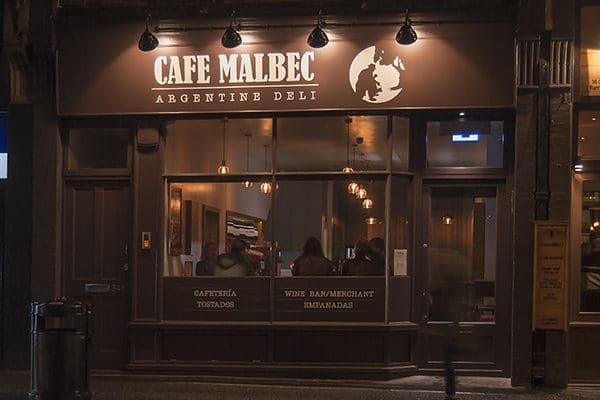 Argentina has so much more to offer than steaks, dark rich red wines and dulce de leché; proof of that is in the recently opened Café Malbec which is next door to Latinoamerica Grill. 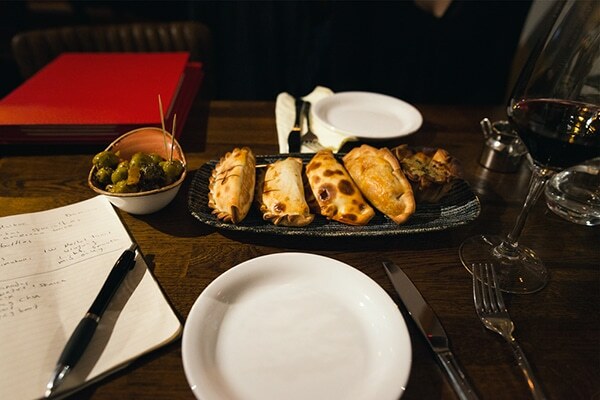 After spending 10 days at home in Barcelona, I wasn’t feeling ready to get straight into the English gastronomy and needed a couple of weeks to wind down from the Mediterranean awesomeness. 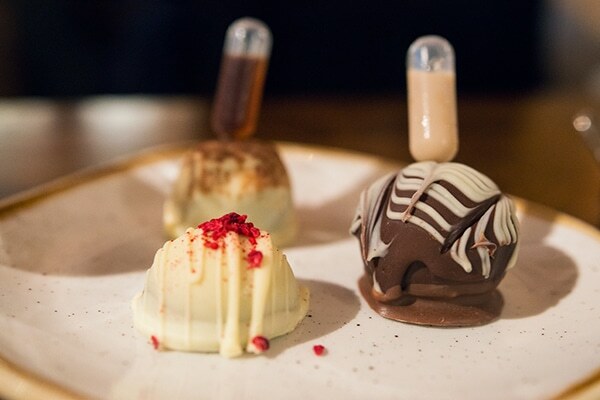 Getting invited for dinner at Café Malbec was definitely a treat. 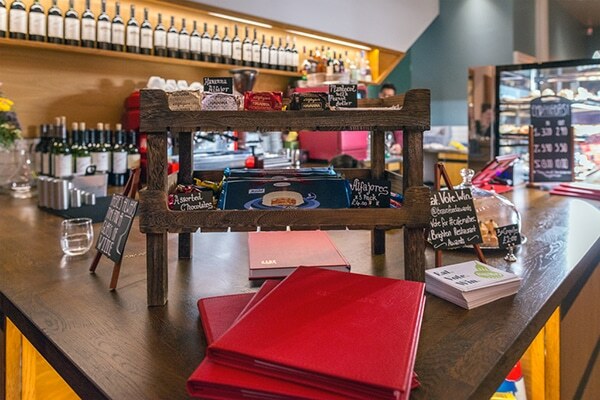 We sat at the front and a cheerful waitress brought out the huge, bright red, leather menus. Our first impressions were good and the colour palette of the interiors and decorations matched expectations. I wished that tango was playing through the speakers but instead there was Cumbia or was it Merengue? Unsure, my brain chose to ignore it and headed straight into the wine list. 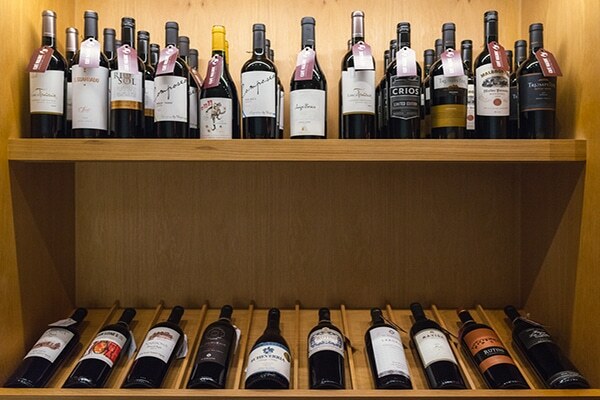 There’s a good mix of South-American wine dominated by Argentina, and I mentioned to my wife that I love to see an authentic and original wine list, not one made by the usual suppliers that seem to sell the same wines to every other place in town. 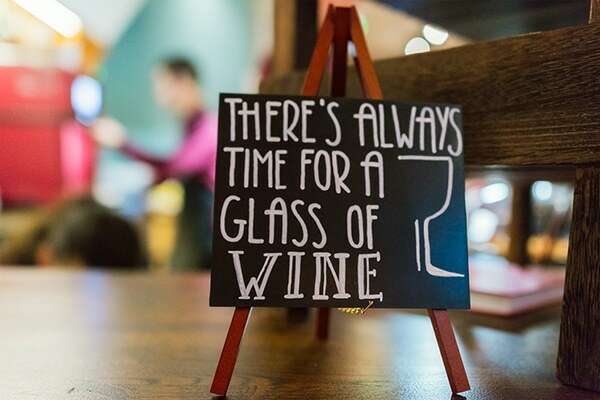 This is later confirmed by Damian, owner of the restaurant and cafe who says he has hand-picked each wine and he demands exclusivity from his suppliers. 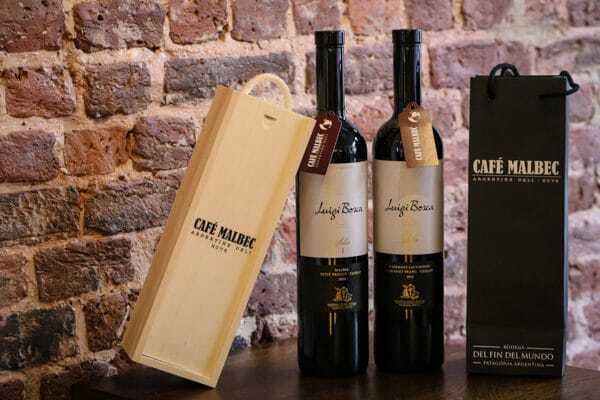 His aim for Cafe Malbec is to be different, original and have a personality of it’s own. The wine selection will surely get him in the right direction. 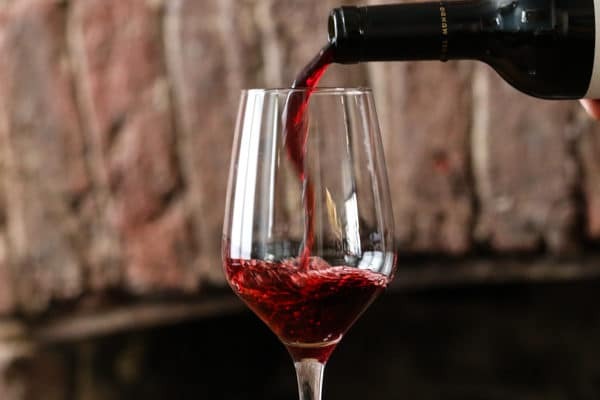 He’s keen on offering wines from every region of Argentina and adds some variety with wines from Chile, Uruguay, Brazil and Peru, maybe Mexico as well. I’d been awake since 3 in the morning after taking a bus, taxi, a plane and a train and the only thing that my mind could think of was to get some wine and some food. 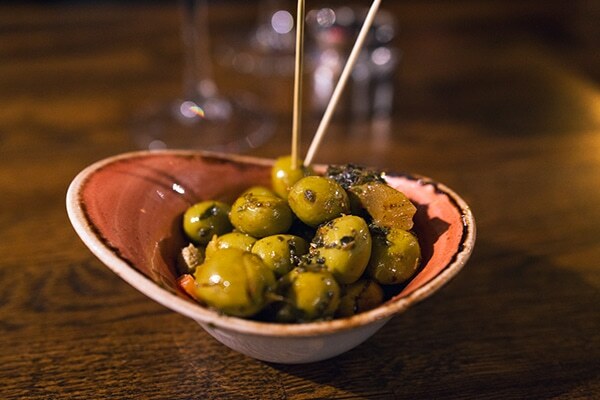 I left the order to Damian who suggested we start with some olives marinated in Chimichurri and poured a glass of Merlot and tannat from Uruguay… exquisite! 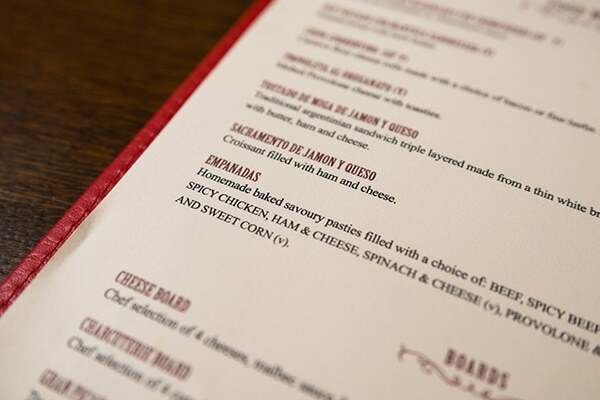 The speciality here is empanadas, what else? 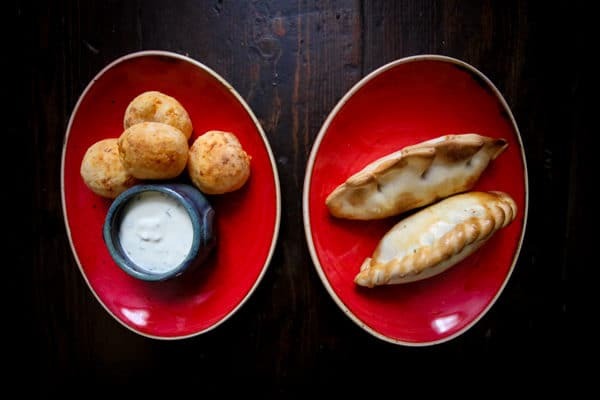 Empanadas are Argentina’s traditional home-made delicacy and they take them very seriously, they even hold competitions in certain regions. We had four to start with, my wife choosing Roquefort and spinach and a chicken empanada while I had spicy beef and spicy chicken. I couldn’t help but notice the demi bottles of wine which are very popular in Europe. These are 375ml bottles and are perfect to enjoy by yourself over lunch or dinner or to share with someone a small glass each. Nice feature. 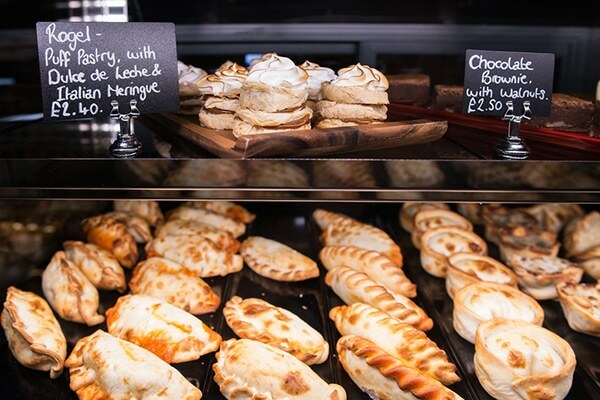 The empanadas were fantastic, the pastry not too dry or too moist. The stuffing not too filling, portions perfect and the fire on the spicy ones was just spot on to my taste; spicy enough to have a kick but not excessive to kill your wine. 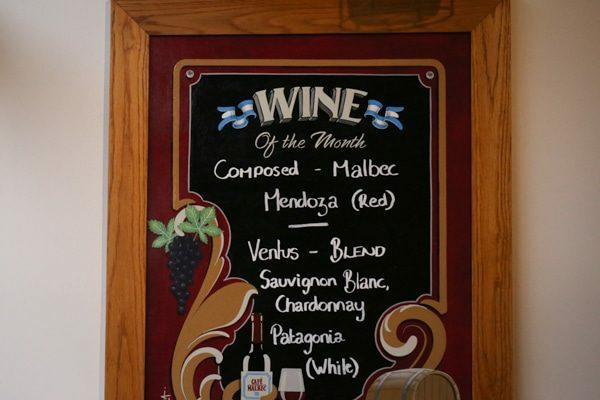 A glass of Merlot, Malbec and Cabernet Sauvignon from Fin del Mundo, Patagonia arrived, gently sweet and medium bodied, just perfect as an evening wine or to have with empanadas. We took a break (not that we needed it) but Damian was eager to show us around the shop, so we spent a good amount of time talking about the wines on the shelves which are good to go home or to have in and about the food offering. 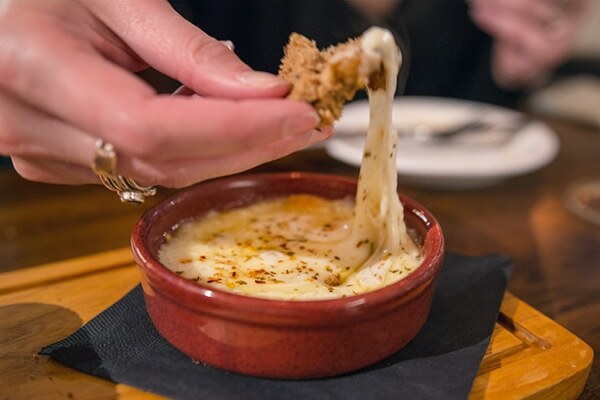 My wife had already chosen her dessert with her eyes but she’s interrupted by Damian offering to taste the Provoleta; a clay pot filled with sizzling grilled provolone cheese accompanied with bread to dip it in. I left the bread formality for the lady and dove in straight with the fork. We were left to try Damian’s favourite rose, Malbrontes while he entertained some arriving guests. He is truly a great host and a natural at entertaining and making people feel comfortable. A glass of Malbec from Mendoza was brought to the table, this one huge and heavy, not my style to drink on it’s own but would appreciate it over an arrachera or a matambre. Cafe Malbec is till in its infancy stages and I think that as the venue matures, so will the product offering and ambiance etc. We loved the simple and authentic food offering, the unique wine selection, the high stools and tables at the front, the food counter, the pastries, empanadas and alfajores, we love everything about this place, it just needs a few scratches on the tables and the scent of coffee impregnated in the walls.